Have an Ubuntu 16.04 x64 / 18.01 x64 / 18.10 x64 instance. Logged in as a root with sudo privileges. Apr 16 00:35:04 stocklot.pk systemd: Started The Apache HTTP Server. The other following commands can be used to stop, start and enable Apache2 service. To verify that Apache2 working, open your browser, write your domain name or server IP address i.e. 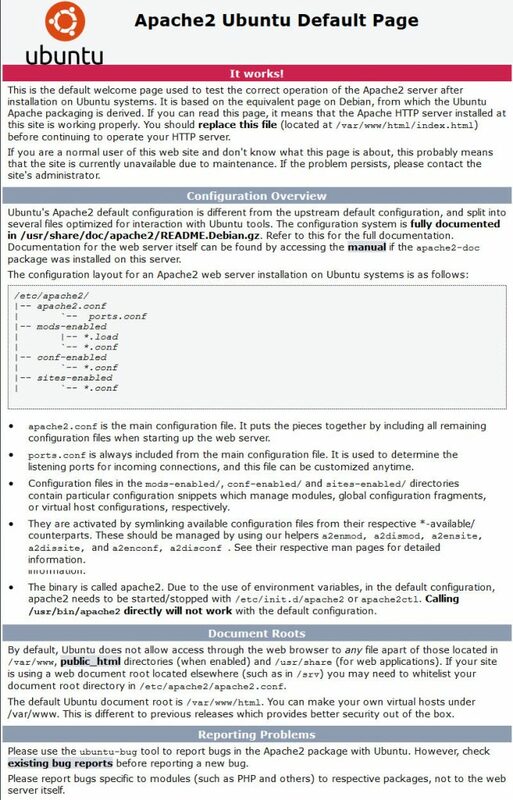 http://YOUR_IP_OR_DOMAIN/and you will see the following default Ubuntu Apache welcome page. All Apache configuration files are located in the /etc/apache2 directory. /etc/apache2/ports.conf. is always included from the main configuration file. It is used to determine the listening ports for incoming connections, and this file can be customized anytime. Apache Virtual Hosts files are stored in /etc/apache2/sites-available directory. The configuration files found in this directory are not used by Apache unless they are linked to the /etc/apache2/sites-enabled directory. They are activated by symlinking available configuration files from their respective *-available/ counterparts. These should be managed by using our helpers a2enmod, a2dismod, a2ensite, a2dissite, and a2enconf, a2disconf. See their respective man pages for detailed information. Files containing global configuration fragments are stored in the /etc/apache2/conf-available/ directory. Files in the conf-available directory can be enabled by creating a symlink to the /etc/apache2/conf-enabled/ with the a2enconf command and disabled with the a2disconf command. Apache log files (access.log and error.log) are located in the /var/log/apache/ directory. It is recommended to have different access and error log files for each vhost. The default Ubuntu document root is /var/www/html. You can make your own virtual hosts under /var/www. You have learned how to install Apache2 on Ubuntu server. 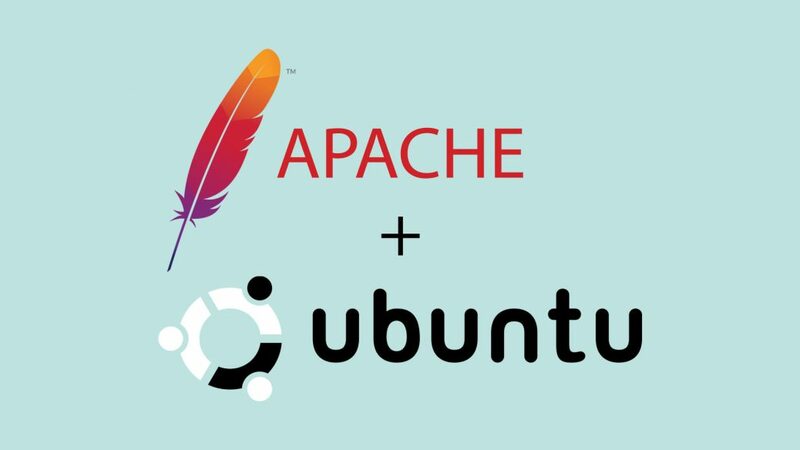 You can repeat the steps we outlined above and install Apache2 on additional new Ubuntu servers.